Organizers of the 2011 Game Developers Conference have debuted initial lectures from the Art and Audio Tracks for the Main Conference, spanning Gears Of War 3, Pixar, Limbo, Final Fantasy and beyond. The Art and Audio Tracks take place from Wednesday March 2nd to Friday March 4th, 2011 during the pre-eminent, San Francisco-based event, alongside other discipline-specific Tracks dedicated to programming, design, business and management, and production. One of the notable Art Track reveals at this early stage is 'Fast and Efficient Facial Rigging in Gears Of War 3' by Epic Games' Jeremy Ernst, showcasing the methodology used for the much-awaited action title. The lecture is designed to "show developers of any level how to create and think in a way that leads to faster and more efficient ways of building not only face rigs, but any kind of rig or tool." Also likely to be a major draw is 'Successful Traits Of An Animator', by Pixar's Andrew Gordon. 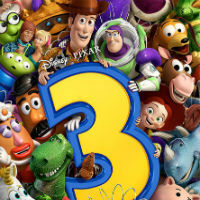 Using examples from the acclaimed Toy Story 3, Gordon looks at some of the points that the Bay Area animation powerhouse believes make animators stand out, including factors like "attitude, appeal, acting, entertainment value and good ideas" -- with plenty of practical specifics. Other major Art Track talks include a discussion of lighting in Battlefield 3 by EA DICE's Kenny Magnusson, a talk on animation in Halo: Reach from Joe Spataro and Tam Armstrong of Bungie, plus an in-depth discussion on art directing Dead Space 2, courtesy of Electronic Arts Redwood Shores' Ian Milham. Some of the early Audio Track highlights include a lecture by Square Enix's Mitsuto Suzuki discussing how he helped to compose and arrange soundtracks for two major Final Fantasy titles -- The Four Heroes Of Light for Nintendo DS and Final Fantasy XIII for PS3, discussing "how he dealt with the drawbacks and the advantages of the two platforms." Another highlight is 'Dead Rising 2: How Real-time Game Integrated Tools Saved the Audio Team', during which Capcom Vancouver/Blue Castle Games' Jason Jarvis and Dieter Piltz discussed "our approach to audio state and event flow and how we communicated changes from tool to game and back" with regard to the best-selling zombie action title. Also notable is 'The Environment is the Orchestra: Soundscape Composition in Limbo' from Playdead's Martin Stig Andersen, Ubisoft's Olivier Girard and David Kristian on 'Between 4 Ears: Splinter Cell 5's Co-op Sound Strategies', plus an all-star panel, including noted composers Inon Zur (Fallout: New Vegas) and Richard Jacques (Mass Effect), on how game soundtracks "work with themes and leitmotifs to achieve specific goals in their game scores". At the forefront of game development, Game Developers Conference -- part of the UBM TechWeb Game Network, as is this website -- continues to deliver the most pertinent and informative updates in digital entertainment, with a host of GDC 2011 Summit and Main Conference content announcements to come over the next few weeks. Game Developers Conference 2011 -- the 25th iteration of the industry-leading show -- will be held at the Moscone Center in San Francisco from February 28th to March 4th, and registration is now open. For more information on all aspects of the show, visit the official GDC 2011 website.